One of my favorite ways to show my family that I love them is to cook for them. When I make a delicious meal, it shows that I am thinking about them and care about their welfare. I have taken my time to make sure that the food I cook is not only delicious but also nutritious. So often as a wife and a mother, we think that cooking as a chore or just something we have to do every day, but if you look at the meals you are preparing, the way you give your 100% effort to make it more delicious and how your family appreciated it and enjoyed it, then it is worth making it. 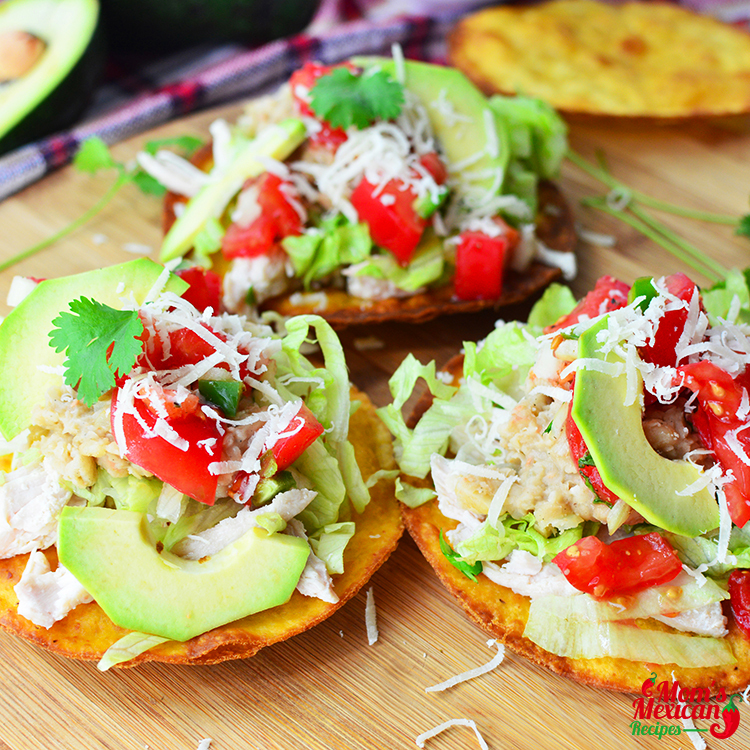 I always try hard to find new recipes and experiment it in the kitchen, So now I tried this Easy Chicken Tostadas Recipe. They love it, they even offer to help me in the kitchen and get involved and it is a great family bonding. Last night I have a leftover Chicken, so I’m going to try this Chicken Tostadas recipe for our meal tonight. 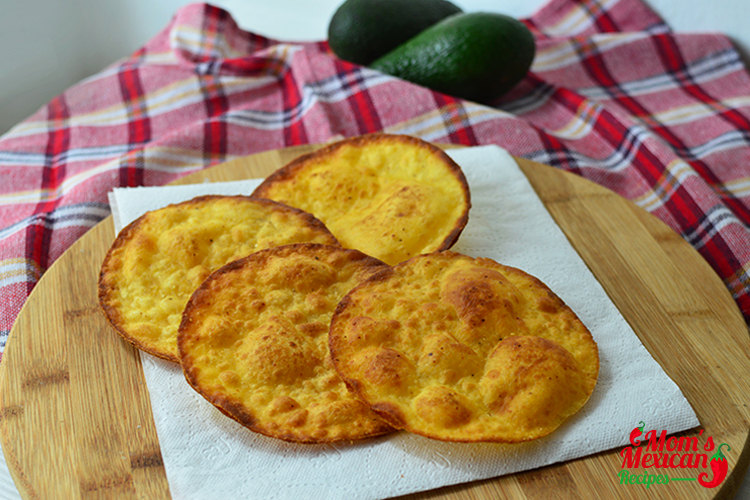 It is a type of Mexican tostada, an authentic dish from Mexico and it can be served as an appetizers or snacks. The main ingredient is Tortillas. 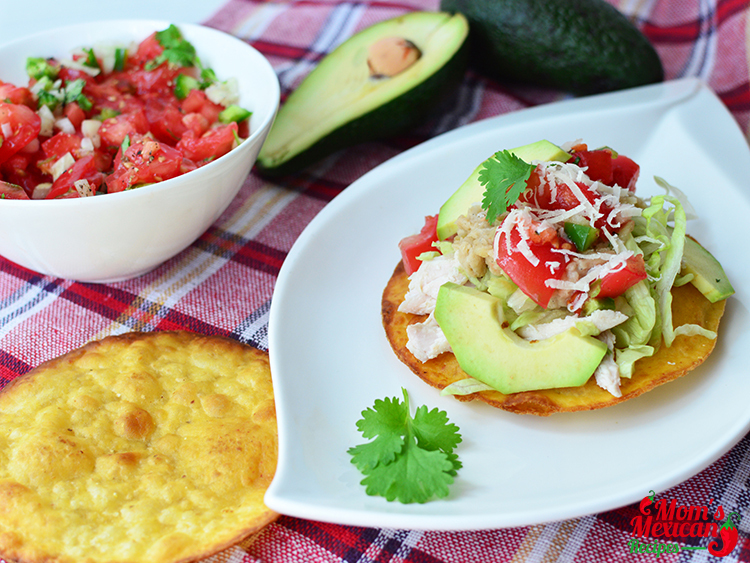 A tostada is a crispy deep fried tortilla. It is usually topped with a variety of ingredients, as shredded meat or chicken, refried beans, lettuce, tomatoes, crumbly cheese, thinly sliced white onion and of course your favorite salsa. All ingredients and flavors are melded together perfectly. You can also eat this for a lunch meal or you can do it for dinner. 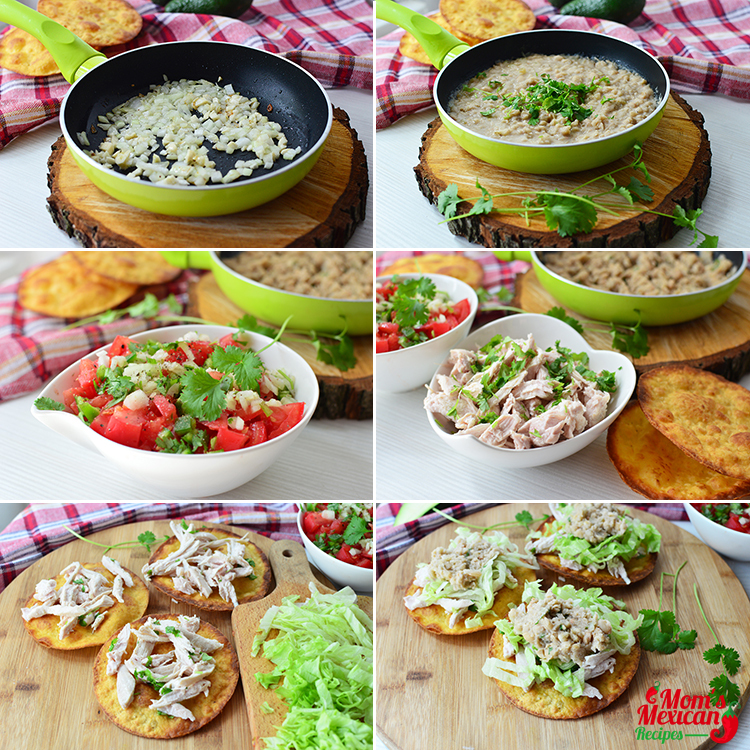 My kids love it, they can pick and choose what they would like on their Tostada. They like to add Mexican Hot Sauce for a real kick and a squeeze of Lemon. See my Salsa Sauce Recipe and my Green Sauce Recipe. Heat the oil in a large skillet over medium-high heat. Add the onion, coriander, and cook, stirring, until lightly browned, about 2 minutes. Add the garlic and cook, until lightly browned, about 1 minute more. Add the beans and cook, stirring frequently, until thick and amber brown in color, about 3 minutes. Stir in the salt and season with pepper to taste. To make the tortillas: Pour the oil for frying into a large heavy-bottomed pot. Place over medium heat and heat to 375 degrees F. Add the tortillas, one at a time, and fry until golden brown and crispy, about ½ minutes. Put aside for paper. To make the chicken: In a small bowl, mix together the chicken, lime juice, oil, coriander, and salt and season with pepper to taste. Set aside. To assemble the tostadas: Preheat the broiler. Evenly mound the chicken on each tortilla and top with the lettuce. Top each tostada with avocado, salsa, and a dollop of sour cream. Sprinkle with Parmesan cheese and garnish the tostada with the coriander leaves. The tortillas must be fried until very crispy, otherwise, they may become rubbery, making them difficult to cut with a knife and fork. You can serve rice on the side with Chicken Tostadas, as well as roasted corn on the cob and it’s so good. Or garnish with chopped Cilantro and Green Onions before serving.